India’s largest crowdfunding site. Over Rs.547.98 Crores raised. Tamil Nadu witnessed 606 farmer suicides last year. Since October 2016, it has seen two farmers committing suicides daily. 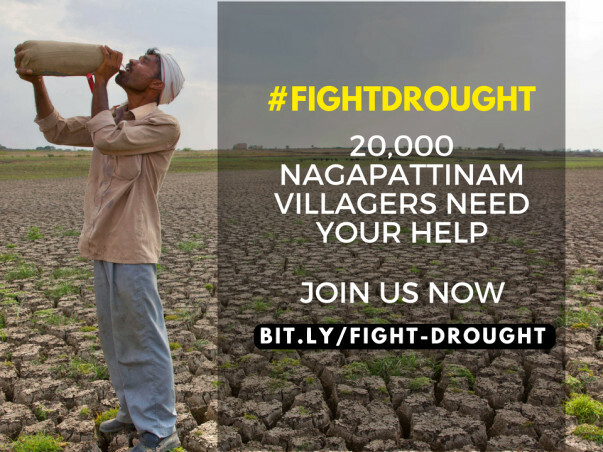 It is facing the worst drought India has seen in the last 140 years. The North-East monsoon, which serves as the key source of water for the region, failed drastically, deficit by 62% last year. This combined with overexploitation of ground water, lower reservoir levels, the Cauvery water dispute and crop stress conditions, has left the state parched and is claiming the lives of two farmers every day between October 2016 and now. 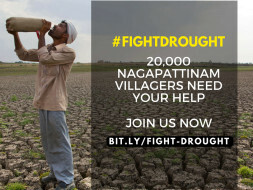 The Nagapattinam district has been the worst hit due to this acute water shortage and has seen the maximum number of farmer suicides. There are 135,000 paddy farmers among the 175,000 farmers in the district which falls in the Cauvery delta. Due to the acute water shortage, less than 20% of the paddy sown has crossed the flowering stage. The problem further intensifies since paddy is the main crop of the region, given nature of the soil. Nagapattinam enjoyed salubrious environment and was known for its lakes and gardens. As per the revenue records the city had more than 300 lakes in the past, unfortunately due to rapid & unregulated urban growth resulted not only in the illegal encroachment/ reclamation of lake areas but also contributed in the drastic reduction in their number. Conserving and retaining their fresh water status is a key solution to the current water crisis. The Better India is coming together with The Environmentalist Foundation of India (EFI), to #FightDrought, a LAKE & POND RESTORATION campaign that will focus on cleaning, desilting, deepening and restoring two ponds in the region. 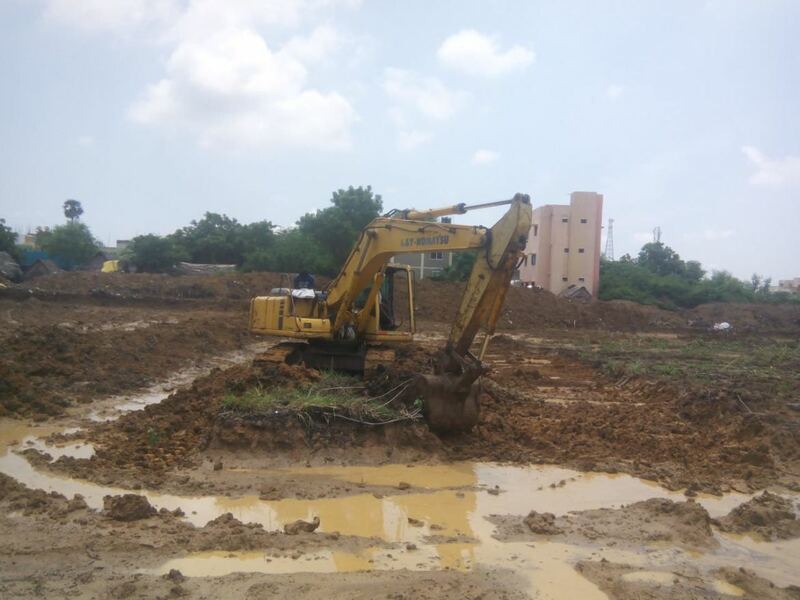 The two ponds are going to be the Kiramaththu Medu-Thamarai pond in Keelvelur Taluka(a 2.5 acre pond) and the Thiruvaimur-Thamarai pond in Thirukuvalai Taluka, Nagapattinam District(size: 5 acres). Baseline Study of the Lake and its Catchment. Scientific study of the catchment which includes detailed hydrological, geomorphologic and ecological assessment. To prepare the project report. This time will also be used to avail necessary government permissions. Removal of Physical Garbage and Weed Removal around the lake/pond. With the help of local residents and other volunteers to ensure community participation. Removing excess silt across the entire expanse of the lake/pond during the dry season. The depth at different portions of the lake is to be decided based on the base line. entire expanse of the lake/pond will be packed for 3ft height. To hold the packed bund native Indian species will be planted on the bunds of the lake. This will be followed by a protective fence creation to prevent future encroachment. Psychological impact to the larger district leading to several more water conservation efforts in a minimum of 90 to 95 surrounding villages. Restoration to have an overall ecological, economical and climate impact in the villages chosen. Machine rental: Earth moving equipment such as a Hitachi 220 for desilting and deepening of the water body. Bund strengthening efforts with excavated silt. Creation of inlet and outlet regulation. Fuel charges for the machinery, labour charges for operation of machinery. 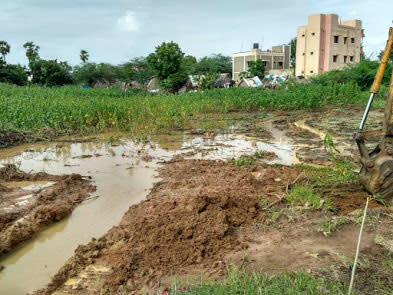 We're ecstatic to inform you that with your help, EFI and The Better India have been able to restore both the Thiruvairmur Pond in Nagapattinam District and the Chellaperumal Nagar Pond in the Kanchipuram District of Tamil Nadu. Nagapattinam was the worst-hit regions of the drought and its revival augurs well for the for the rural farming community residing there. 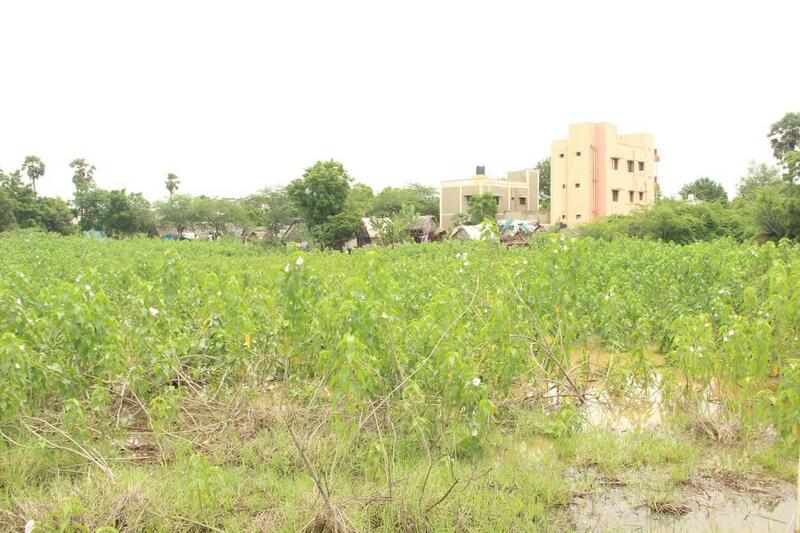 The second pond located in the Kanchipuram district has helped its peri-urban community of 24,000 residents. Based on public interest and local volunteering support, E.F.I took on the task of reviving this water body. • Restoration type: Scientific restoration of the pond. • Purpose of the pond: Drinking water, groundwater recharge, and irrigational usages. The deepened, bund strengthened pond is prepared for the North East monsoons and is expected to have an increase storage facility by 18 to 22%. This will have a positive impact on the groundwater, temperature regulation and would prevent water-borne diseases. The effort to restore the water body is to continue with sustained community engagement to guard the pond. 2. Contour Desilting to increase the water holding capacity of the lake. After successfully restoring the first pond in Nagapattinam, we identified Chellaperumal Nagar pond, a few kilometers from Sriperumbudur - a pond which has been long neglected. In spite of having been located in a suburban Tamil Nadu. Rapid urbanization and unplanned development have ensured a poor water management paving way for one or the other water calamity year after year. There is an urgent need for mass sensitization in the field of water conservation and immediate field-based efforts to revive freshwater habitats to prevent future calamities. Once a deep and lush drinking water source, the pond over the years, has become a cesspool of suburban sewage and exploitation. Based on public interest and local volunteering support, EFI, supported by The Better India, took on the task of reviving this water body. With administrative permissions from the Kanchipuram District management and voluntary participation from local citizens, the pond has been restored over the last 45 days. A huge vote of thanks to everyone who contributed to this campaign a reality. It is you who have thus made a better India. Thank you all for your donations. EFI has already finished its work in the first pond and thus we are closing the fundraiser now. EFI will continue working on the ground until they restore the ponds completely.